Summer is almost here and the Easter holidays are an opportunity to confer with friends and family and decide about your summer cruising plans. The Greek islands present an excellent all-round destination; Greece is blessed with thousands of islands, and the best way to explore them is by chartering a luxury yacht. Your cruising holiday can be a mixture of cosmopolitan places like Mykonos and Santorini, turquoise waters, lovely beaches scattered in the hundreds of islands, unspoiled sceneries and less touristic islands. 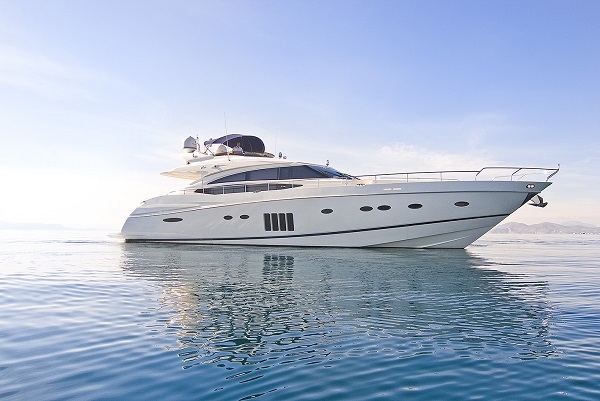 Distances are substantial, so a nice motor yacht is the best type of vessel for active charterers who want to see as many islands as possible. CATHERINE is a lovely Princess 85Ft, built in 2010, hardly used by her owner she is the perfect charter yacht Greece! She combines sleek sportive looks and a high cruising speed (29 knots) with a fly bridge and interiors for 8 guests in 4 cabins.